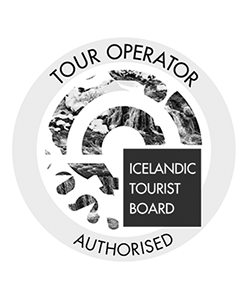 Embark on the Golden Circle journey that will take you to some of the most picture-postcard hotspots in Iceland. 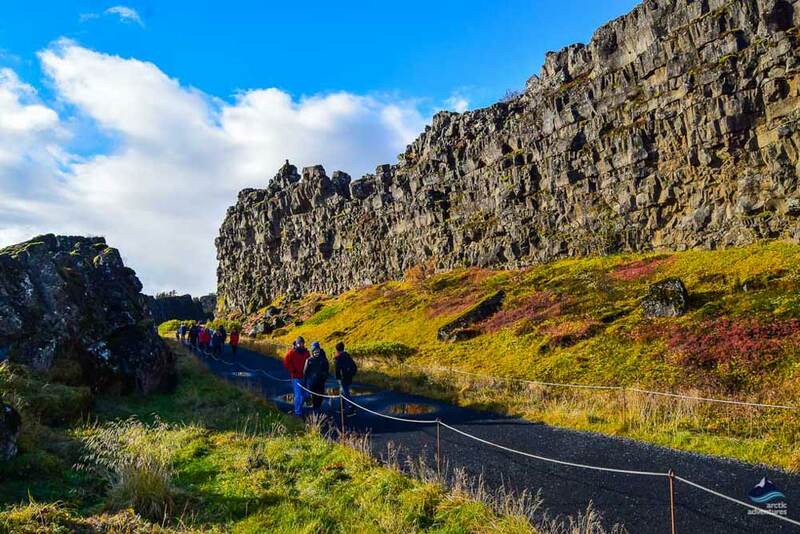 Take in the magnificent sights of Thingvellir National Park, the dazzling hot springs at Geysir, and thunderous Gullfoss. 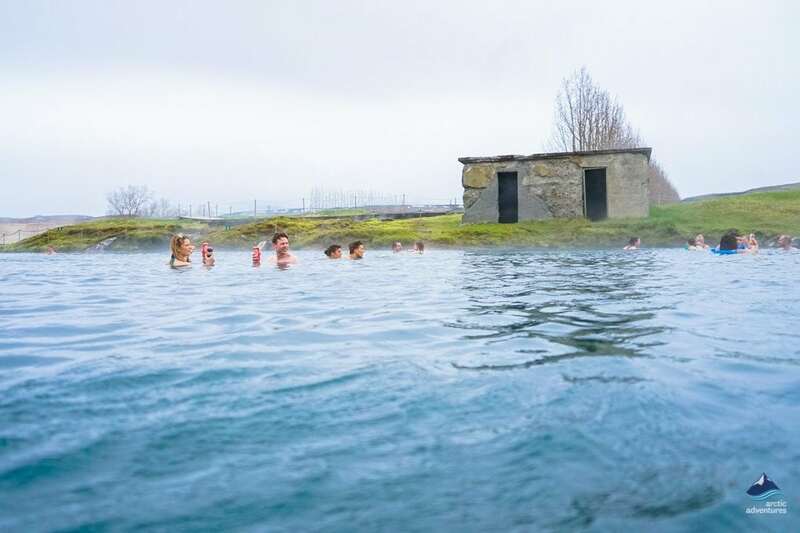 We wrap up the day with a soak in the magical Secret Lagoon. 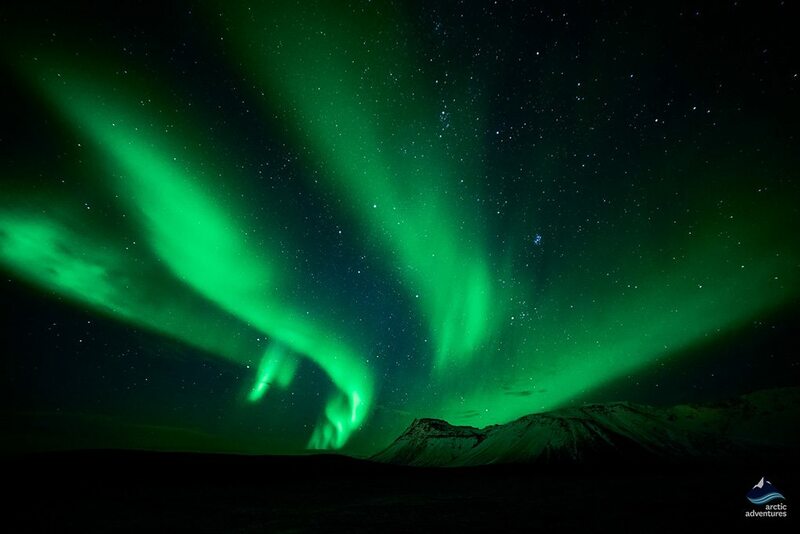 As night falls, we’ll hit the road on an unforgettable hunt for the Northern Lights. 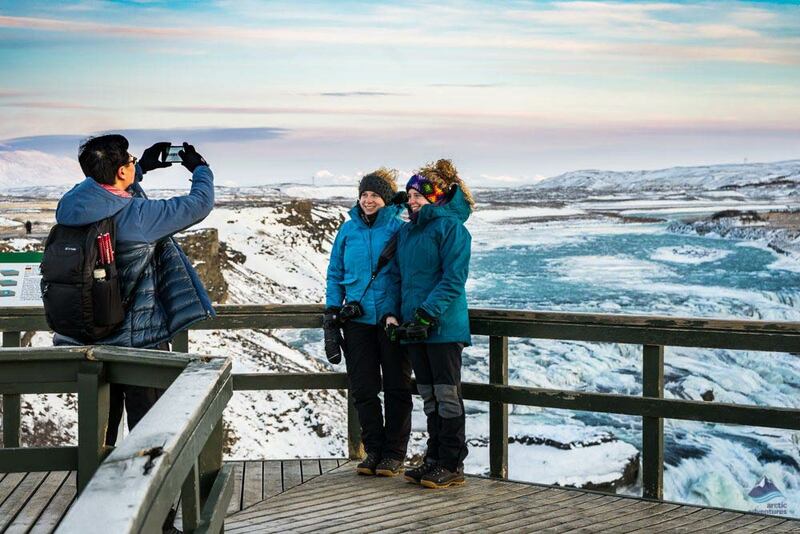 Your guide will take you to the perfect spot to gaze at the glimmering aurora and take free photos of you to make this adventure truly memorable! 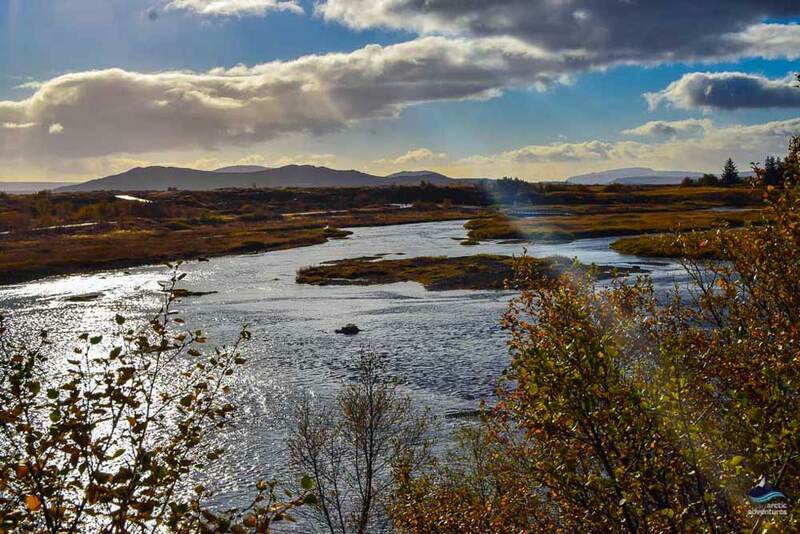 Thingvellir National Park is a UNESCO World Heritage Site and a world-famous cultural wonder. 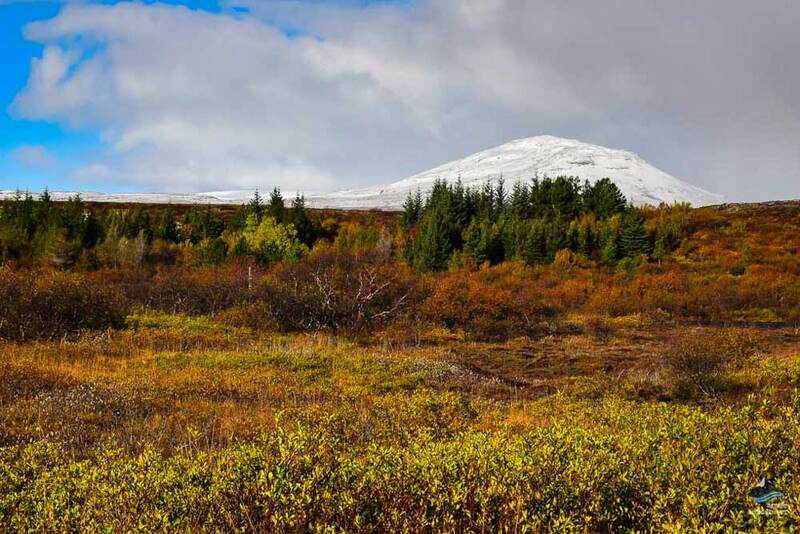 Here Vikings founded one of the world’s first parliaments, the Althingi, in 930 c.e. 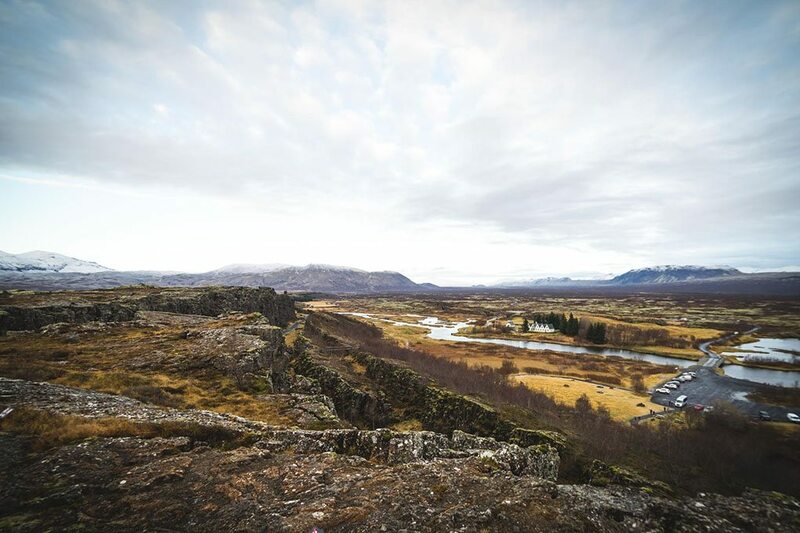 Thingvellir famously lies in a rift valley between the North American and Eurasian tectonic plates, which are constantly moving apart from each other at the rate of 2cm (0.8 in) annually! 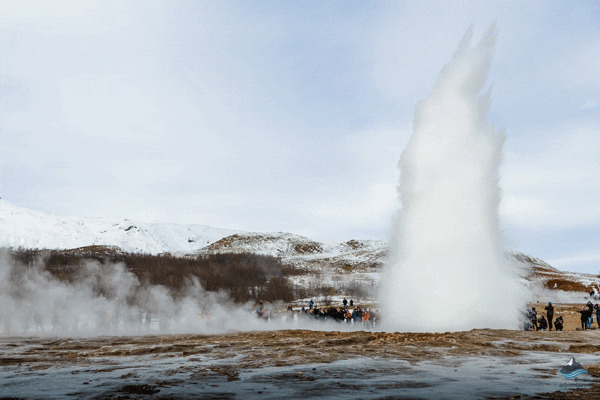 Geysir, the source of the English word geyser, has always been a huge attraction in Iceland! 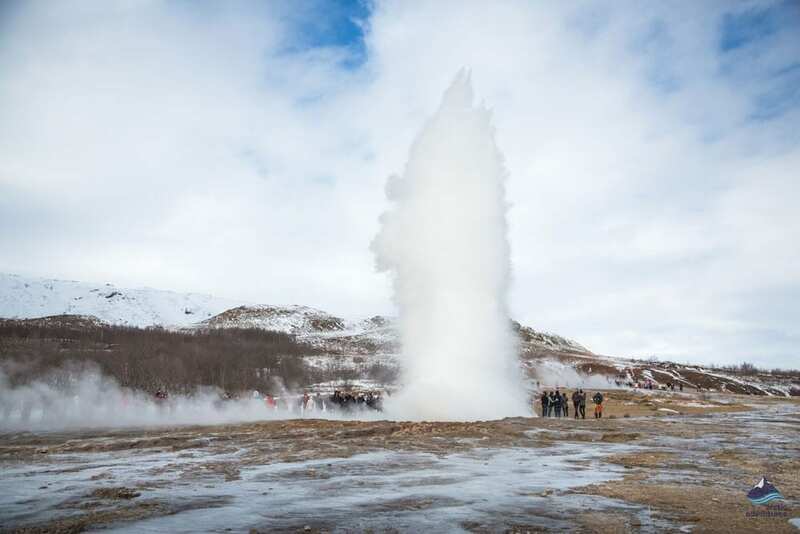 Even though today it sits dormant in Haukadalur Valley, neighboring Strokkur never fails to disappoint, bursting up into the sky every 4-10 minutes in a spectacular show! 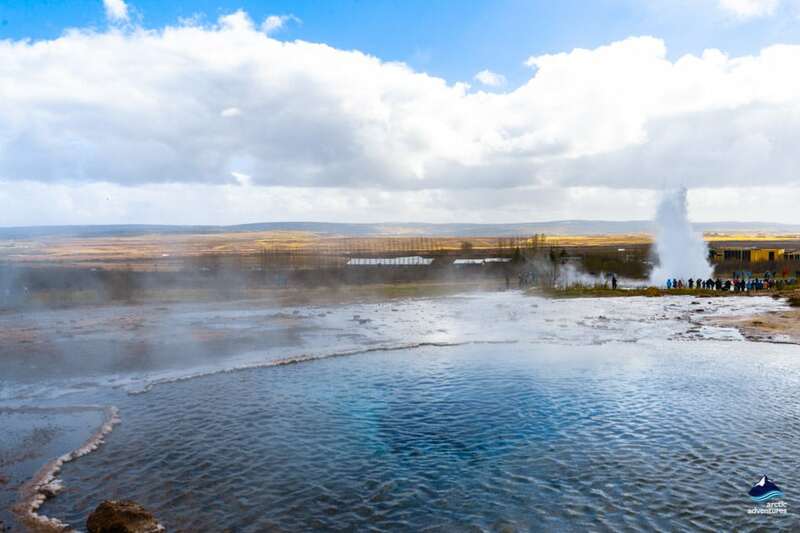 In the Geysir Geothermal Area, you’ll have the opportunity to walk among the bubbling hot springs in the steam-filled air and take in the true power of untouched Icelandic nature. 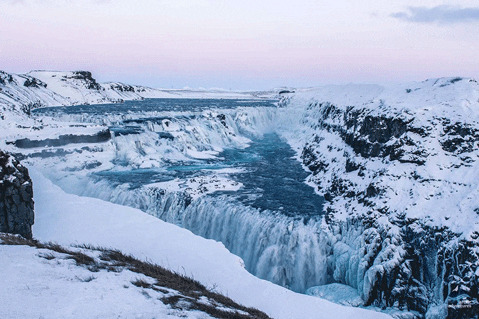 Gullfoss Waterfall (Golden Falls), which drops into Hvítá River Canyon, is the signature card of waterfalls in Iceland. Listed as one of the top 10 waterfalls in the world, this destination draws thousands of guests every year. 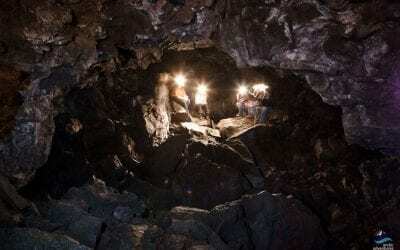 The source of the falls, Hvita River, flows from Langjökull, the second largest glacier in Iceland after Vatnajökull. This iconic, two-tiered cascade has spectacular views from many different angles, so we recommend to walk around within the trail for that perfect photo! 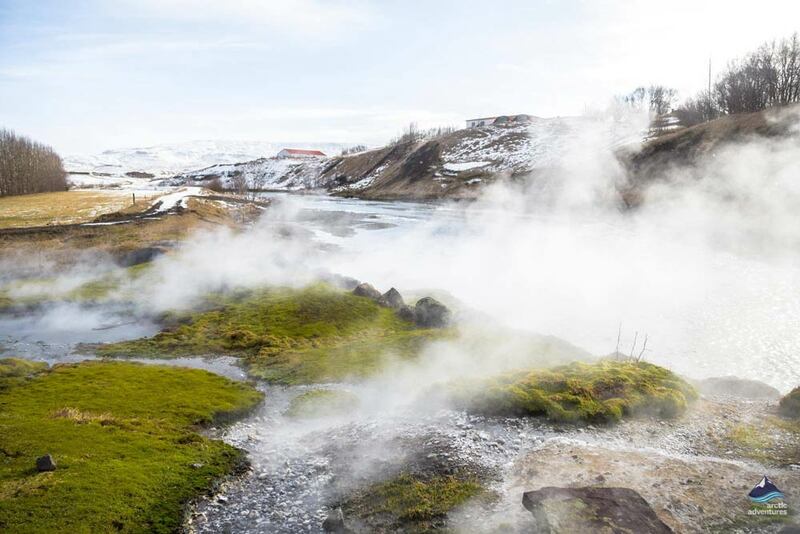 The Blue Lagoon might be one of the most famous attractions in Iceland, but this geothermal pool claims its rightful place as the oldest. 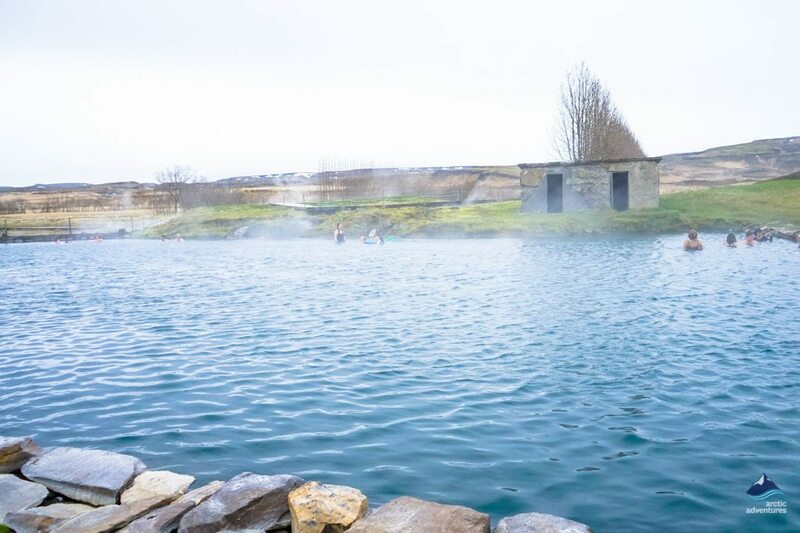 The Secret Lagoon or Gamla Laugin was first dug out in 1891 and is located in the small geothermal village of Flúðir, approximately 1 hour’s drive from Reykjavik. 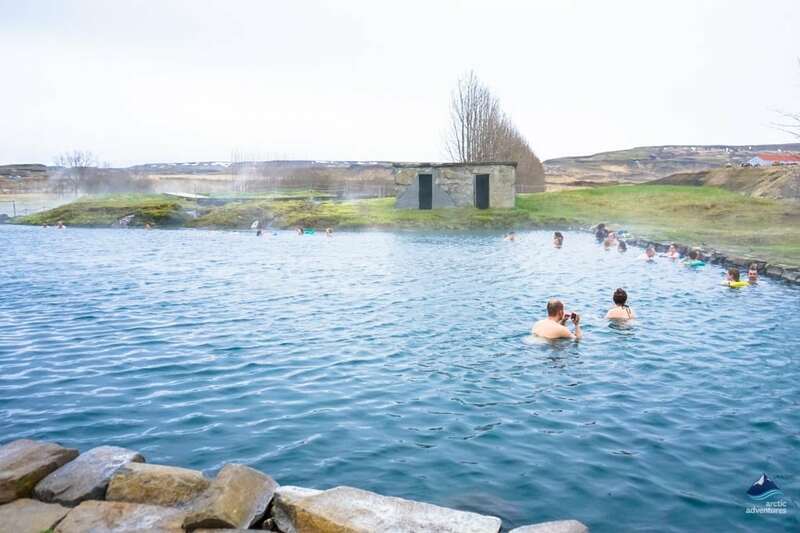 An absolute must-see on the Golden Circle route, this lovely pool is quite picturesque with its calming steam and vibrant green hillocks. 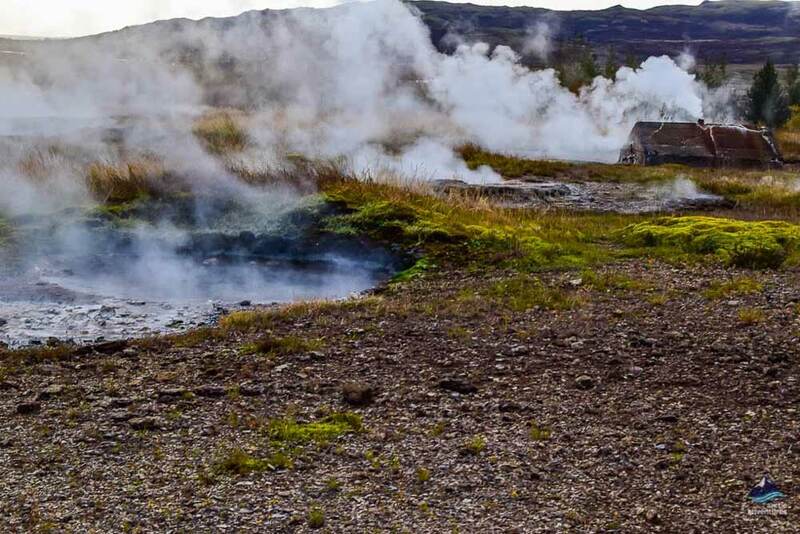 On top of that, the little geyser nearby puts up an act every couple of minutes. 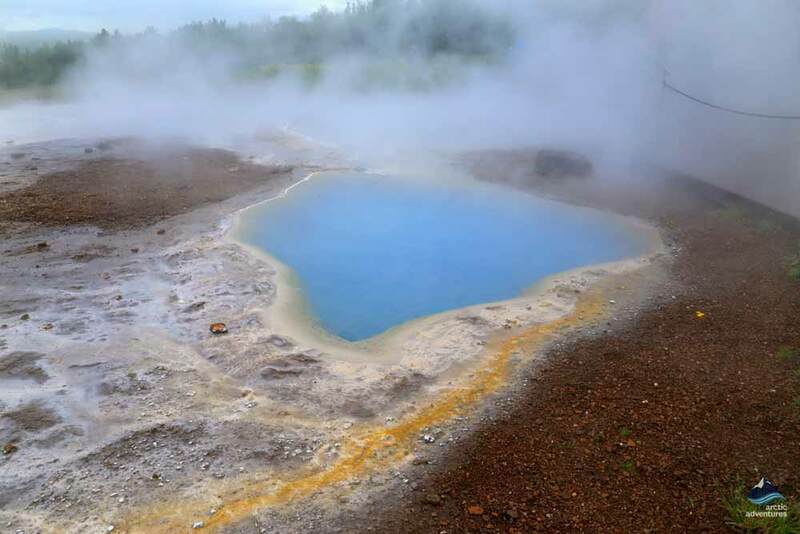 Don’t miss your chance to visit this little paradise and soak in its mineral-rich warm water! 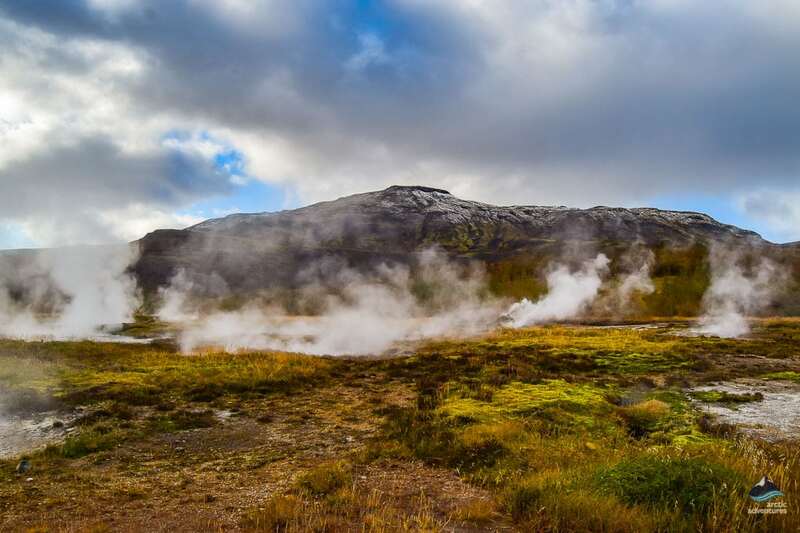 After the Golden Circle and Secret Lagoon, you’ll be dropped off in Reykjavík for a few hours to refill your energy bar and put on more clothing, as the night’s adventure might get a bit cold. 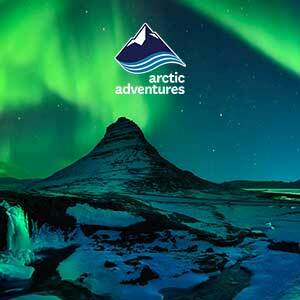 Once night falls, we’ll embark on our Northern Lights hunt. You’ll be picked up again at 20:30 (8:30 p.m.), this time by your expert aurora guide, who will drive you out to secret viewpoints. 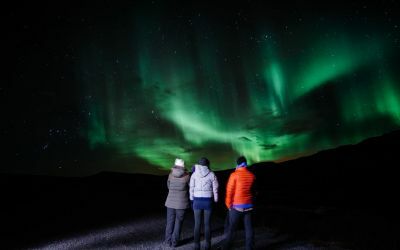 The guides know the locations with as little light pollution as possible for the best viewing of the Northern Lights playing in the dark skies. 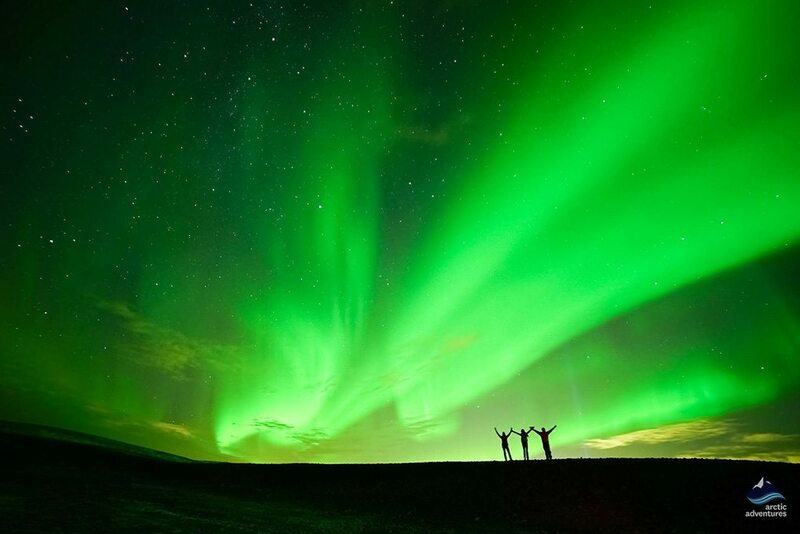 We’ll drive out to the best point in the auroral zone, which varies depending on solar activity. When the stream of charged particles from the Sun, i.e. 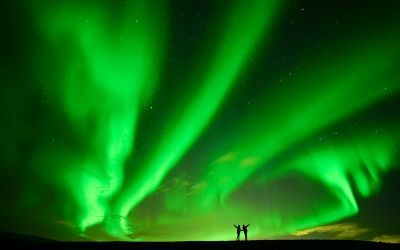 the solar wind, enters Earth’s magnetic field, the resulting light emissions appear in the atmosphere as the Northern Lights. 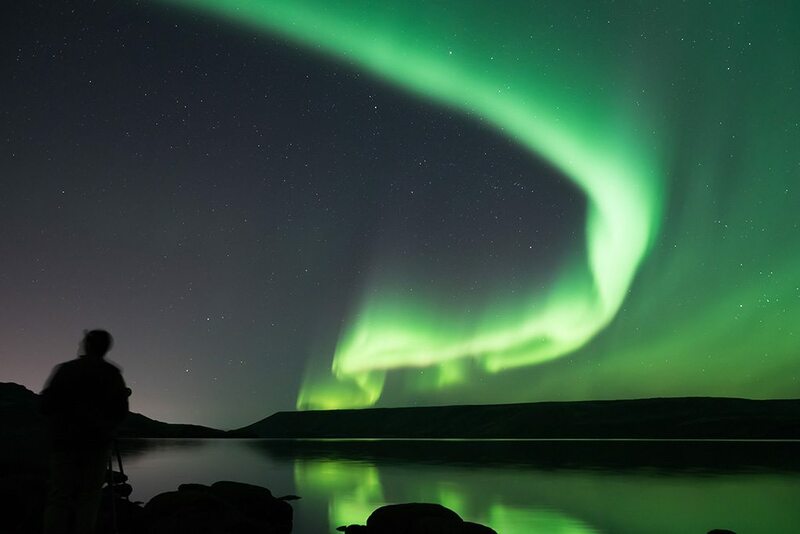 All in all, we can’t tell you exactly where we’ll go, as the aurora borealis tends to be unpredictable, but our guides do their utmost to carefully monitor the weather and aurora forecasts so you have the best chance of glimpsing this light show. 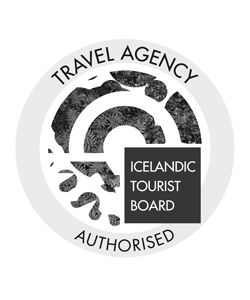 Witnessing the Northern Lights dancing in the night sky above Iceland’s wild and untamed landscape is an experience you’ll not soon forget! 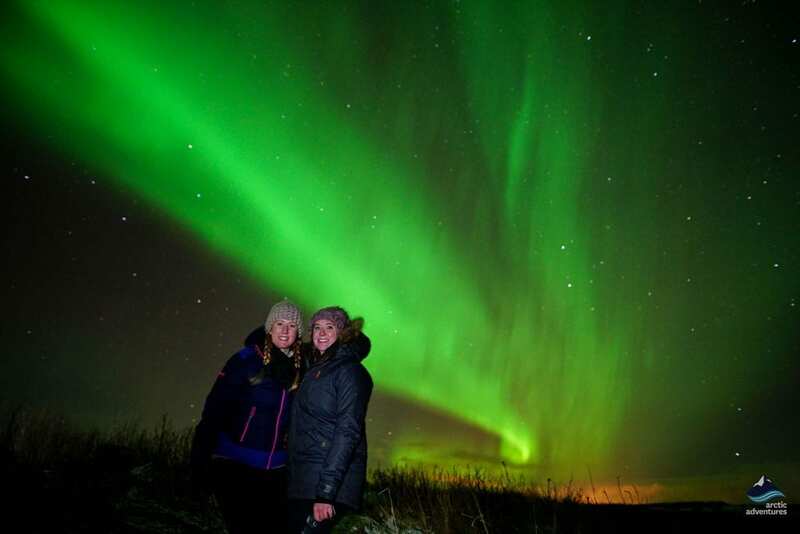 During the celestial light show, the guide will take complimentary photos of you and the Aurora, so you can take souvenirs of your adventure home! 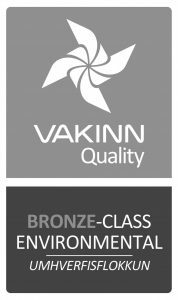 Pickup: Pick up starts at 09:00 am from your accommodation or a nearby authorized meeting point in Reykjavik. Picking everyone up can take up to 30 minutes, your patience is much appreciated. 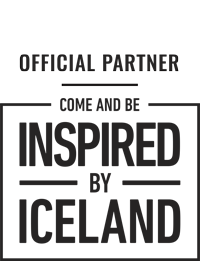 Remember to bring: Warm and waterproof outdoor clothing, headwear, gloves and sturdy shoes. Bathing suit & towel are also essential. Packed lunch (we will also stop at a diner/restaurant). There is no such thing as too many layers on a Northern Lights tour so keep that in mind when you get dressed for the second part of the tour. A tripod for your camera is very useful too.